Our digital advertising experts get you a real return on your social media and google advertising investment to generate a steady stream of quality new clients. I don’t know about you, but I really hate wasting money on advertising campaigns that don’t work. Unfortunately, with so many Facebook™ and social media “gurus” and “experts” out there promising the world it can be really hard to know who you can trust to deliver real results. I mean, imagine spending six months investing into an advertising campaign that goes nowhere, only to keep getting told that it is “about to pick up” and that you’re “on the cusp of an explosion of leads” (unfortunately it is a story we hear all too often when people come to us for help). Let me tell you – a good advertiser will be able to get results quickly, without wasting your money. We’ve already helped a number of businesses from four key industries generate over 10 million dollars in new sales from their Facebook™ advertising campaigns, and have turned many of their previously failing campaigns into resounding successes. Interested in how we can help you? Click the button below! Need a digital marketing agency in Sydney? 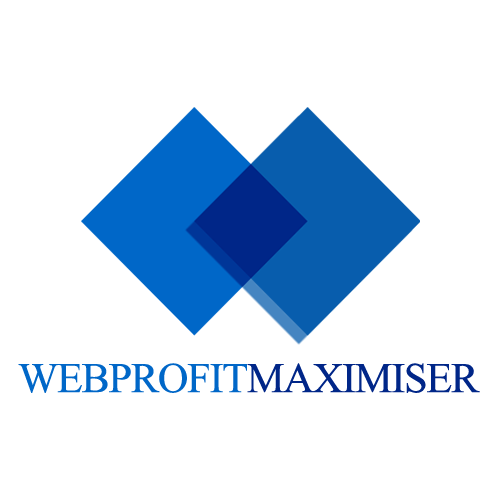 At Web Profit Maximiser we know how to get an amazing ROI on your advertising budget. Let’s face it, no business can afford to lose money on their advertising. That’s why we specialise in helping business owners get better results from their social media and google adwords advertising efforts – whether you’ve been managing things yourself, or if you have an agency handling it for you. In fact, our Ad Audit allows you to confidentially check the results of your existing advertising – find out what you can do to improve, or just get confirmation that the agency you’ve hired are actually doing the right thing by you! We dedicate the time to really figure out your business and your customers, because without this understanding any advertising campaign is doomed to mediocrity. Or worse…. complete failure! We then work with you to build a powerful, effective advertising strategy that will drive quality customers (you know, the kind you really want to work with) to your door – already excited to do business with you. But that’s not all. We’ll also make sure your team “behind the scenes” is able to handle these new clients, so you can spend less time worrying about getting business in and more time getting work done. Want help from a social media agency in Sydney? Okay so here’s what we’ll do. First, we’ll have a quick chat and find out more about you and your business. Then, we’ll look over your existing marketing efforts and see what you’re doing well and what can be improved. Then, we’ll give you some tips and ideas that you can take and implement to get a better result from your advertising dollars. There has to be a catch, right? We’re probably going to just try to sell to you the whole time, right? Wrong – this is NOT a sales call. We normally charge over $1,000 for this service since you get to speak to one of our highly trained Facebook™ or Google advertising specialists who will give you advice specifically for your business. Why free? Well, most people that go through this process are so impressed by the results of what we do that they ask us to help take their pain away. Want to see for yourself? Take advantage of the free expert review using the button below! One of the key reasons that our business gets better results than many of our competitors, is that we have a process that has been built on our experiences and has been optimised to deliver the highest return on advertising investment. We conduct a 14 point Website Review, 7 point Facebook™ review, a Google Audit, and a competitor check before we even speak. We discuss the results of our review, your advertising objectives, and then outline which advertising strategies will achieve the results you want. If we both agree it’s worth taking things further, our team will go over your business, your industry, and the market, so we know what’s going to work. We use our team of copywriters, graphic designers and web designers to design an advertising campaign that will be irresistable to your target audience. We then get our developers (aka our pet nerds) to create all the technical stuff like landing pages, advertisements, email campaigns, and implement the tracking we need. We launch the campaign, but monitor it heavily. Based on the analysis of the results, we optimise everything for better conversion and to get more bang for your buck. This is a serious offer. Don’t take it up if you aren’t really serious about growing your business. We’re happy to spend our time and effort to get you massive results from your advertising, but keep in mind this requires effort and dedication on both sides of the coin. If you’re not committed to growth, we’d rather you didn’t waste our time. But, if you’re serious about growth, and want to see that mythical “next level” you keep hearing about (yes it really does exist), we recommend you book in some time with one of our experts right now. And when we say right now, we really mean it. This is a service we usually charge $1000 for, so there’s no guarantee this offer will be available next month (or even next week)!! Claim your spot before it goes completely. * Results may vary from individual to individual in calculating profits, and depends on things like industry/niche, business capacity, advertising budget and various other factors. Speak to us to find out more.